This year’s edition of the Düsseldorf International Boat Show left behind quite a few novelties in the world of yachting. The one who will remember 2018 is for sure the Jeanneau shipyard. 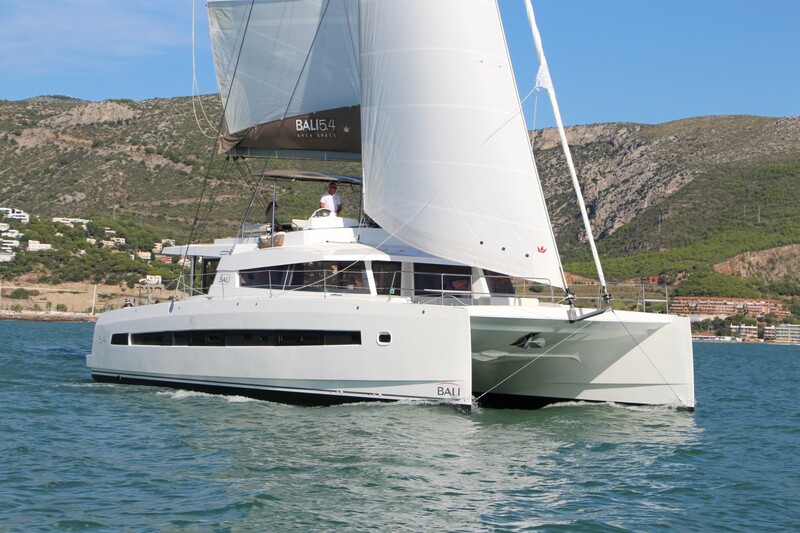 Their latest model Jeanneau 440 won the prestigious “European Yacht of the Year” award in a very competitive Family Cruiser category. The success of this model is even greater when we take into the consideration that the 440 bears the title of the “Best Boat of 2018” in the USA. When looking at the boat for the first time, one may say it is about pure marketing and PR because it does not look any different from other boats at the market. It might be true because Phillipe Briand included more or less all features that are trendy at the moment within the class. 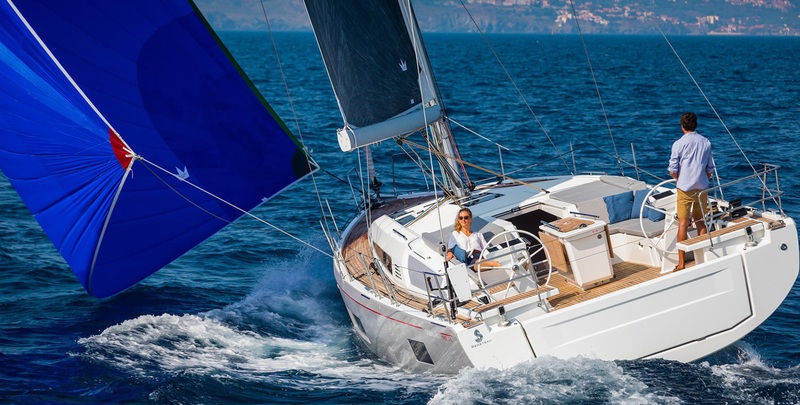 Not to forget, it is about a designer who gained quite an experience and success designing 45 models over 40 years in his career, while his successful cooperation with Jeanneau lasts since 2012. The magic lies in the details, I would say. 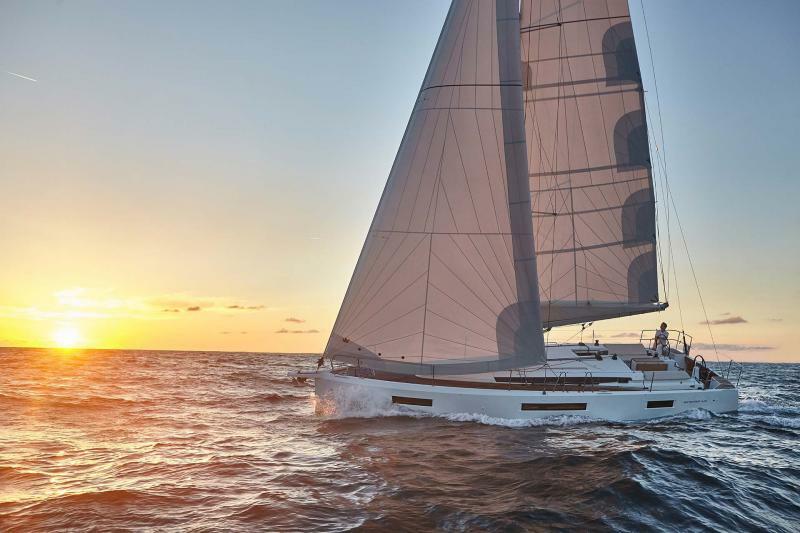 One should also have in mind that a dozen of international experts spent some time last autumn to thoroughly test the new models that compete for the honour to be named the “European Yacht of the Year”. 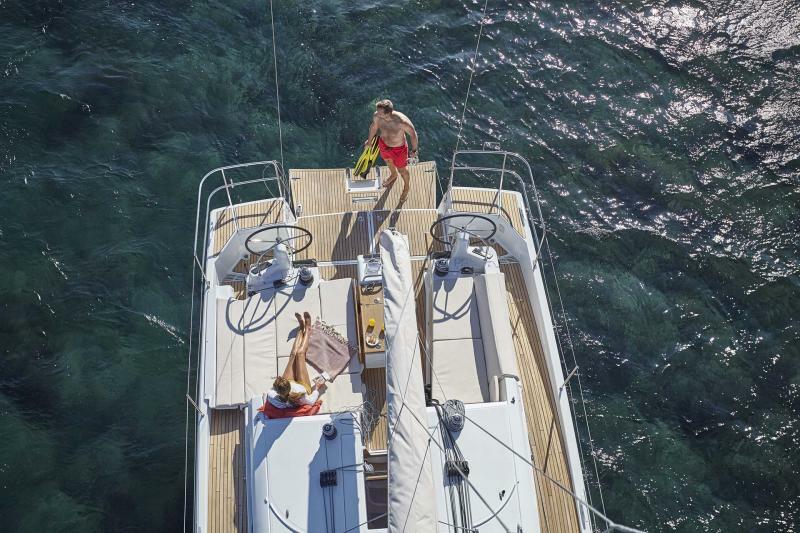 As the category Family Cruiser dictates, Jeanneau 440 is designed in order to be used for relaxed sailing with friends and/or family. It includes most wanted features for day sailing and holidays, as well as for the so-called blue-water long-distance cruising. The yacht is 13 m long overall, starting with relative high bow equipped with a bowsprit that holds the anchor safely far from the hull, and is ending with a luxurious cockpit and a foldable swimming platform behind. The front and the back of the hull are connected by simple clean lines making the deck surface quite clear and spacious, perfect for safe transfers from the bow to the aft sunbathing areas. Speaking of the cockpit, the eye catching ‘detail’ is the solution of backrests. They are completely adjustable and may be transformed in numerous configurations, maximizing the visibility at the helm, as well as offering a full-beam extension of the overall cockpit zone. 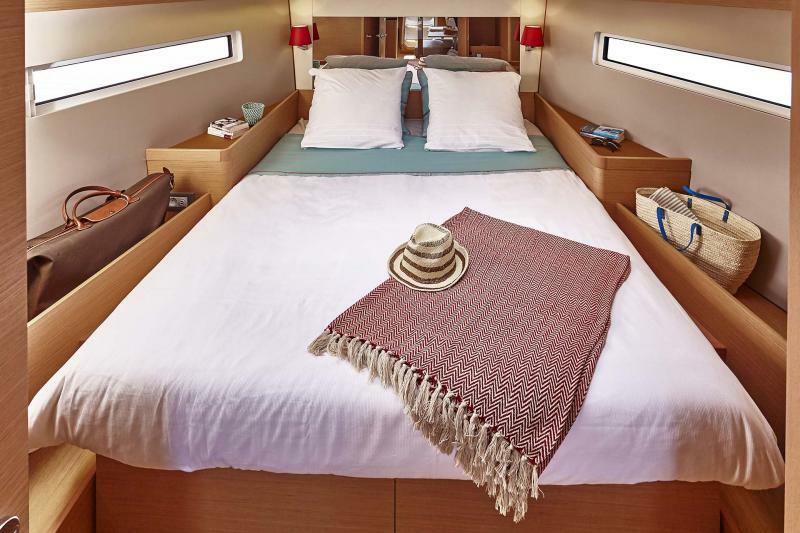 The interior layout comes with 2, 3 or 4 cabins, following clients’ requirements or sailing holiday style. The most exciting is the version with massive master bedroom in the bow. The interior design is made with regard to natural light, spaciousness and ergonomics. Skipper’s chart table is positioned to port, just next to the companionway stairs. 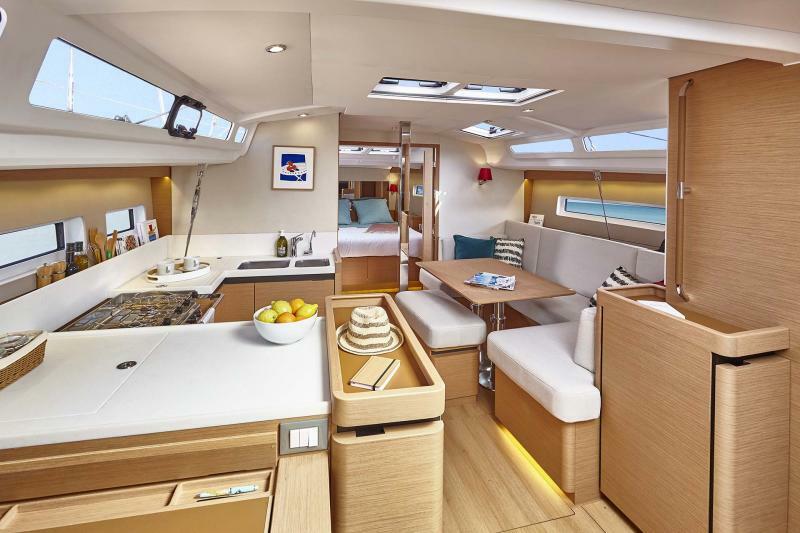 Then follows a useful galley with a quite large working surface, while a spacious lounge/dining area is at the opposite side. The dining table is retractable, so its size follows the use of space – lounge or dining, for more or less people etc. Fuel tank capacity amounts to 200 L servicing the Yanmar 45 hp engine. Water tank holds as much as 330 L, while the additional 200 L tank can be ordered optionally. 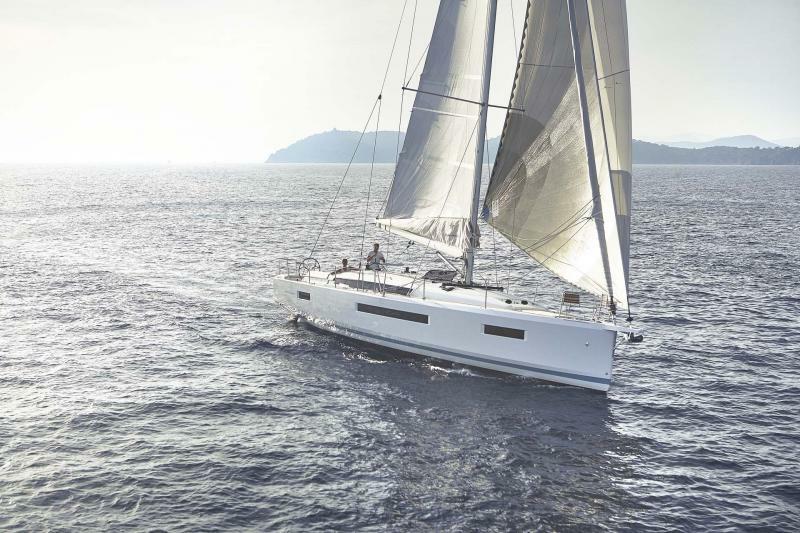 According to the hull shape and sailplan, Jeanneau 440 should not be regarded as a furiously fast yacht, although stylishness, safety and comfort are definitely guaranteed.